When it comes to knives for survival use, one of the most important requirements is that the knife should be strong. The figures and graphs above show how strong these four knives are. What says most about the strength of a knife is at which bending moment (torque) the knife breaks. Mod. 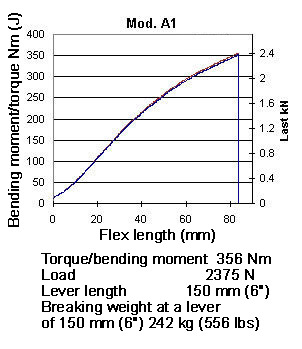 A1 breaks at a load of 2,375 N (or a weight of 242 kg/556 lbs) when the tested length is 150 mm (6″). 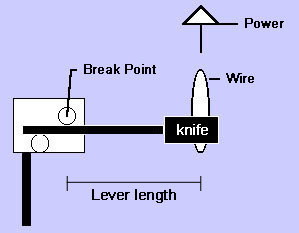 If you make a knife longer, you will need less load or power for breaking it but the bending moment (torque) is just the same. 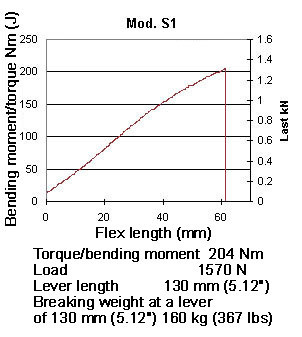 This circumstance (the fact that the torque is the same) makes it possible to compare knives with each other with regard to the strength quality. Factors which determine the strength of a knife are its blade length, blade thickness (blade geometry), steel quality and technical design. A long blade gives you more power, a thick, sturdy blade is stiffer, a well-treated high-end steel stands strain better and a well-designed knife is free from natural breaking zones. Depending on what you want from a knife you should consider these qualities before you make your purchase, only then will you be able to make the optimal choice. Our knives are designed to serve as standard knives under normal conditions, but stand much more than everyday use normally demands if you are suddenly forced to rely upon the strength, edge retention and design of the knife. These knives are the result of a superoptimized combination of a high-end steel (VG10) and an accomplished technical, purposeful, ergonomic design. 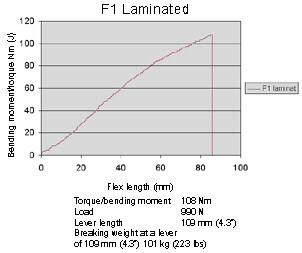 The Division of Solid Mechanics at Lulea University of Technology in cooperation with Fallkniven AB has produced a testing methodology to examine the flexural strength of knives. 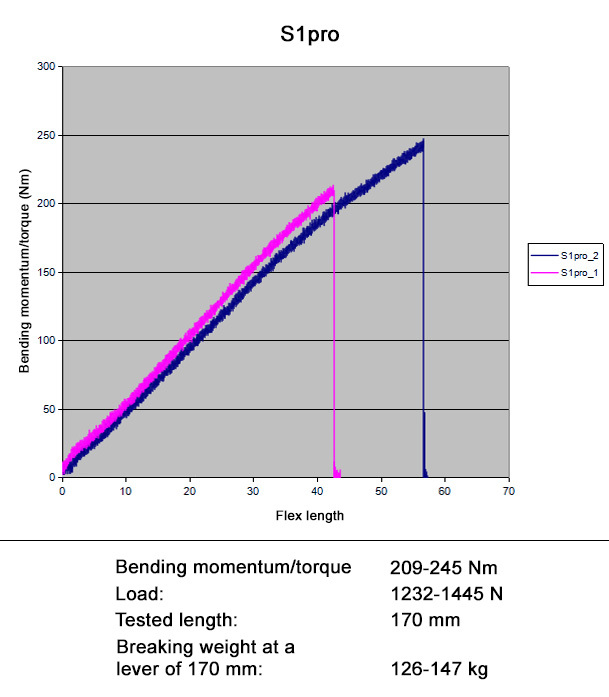 Since the test is to re-create authentic conditions, no allowances have been made for factors such as pull speed and pull distance in the test, but the test concentrates on applied load in the form of tensile load (kN) and bending moment (Nm). Based on this methodology, testing has been carried out at the laboratory of The Division of Solid Mechanics. 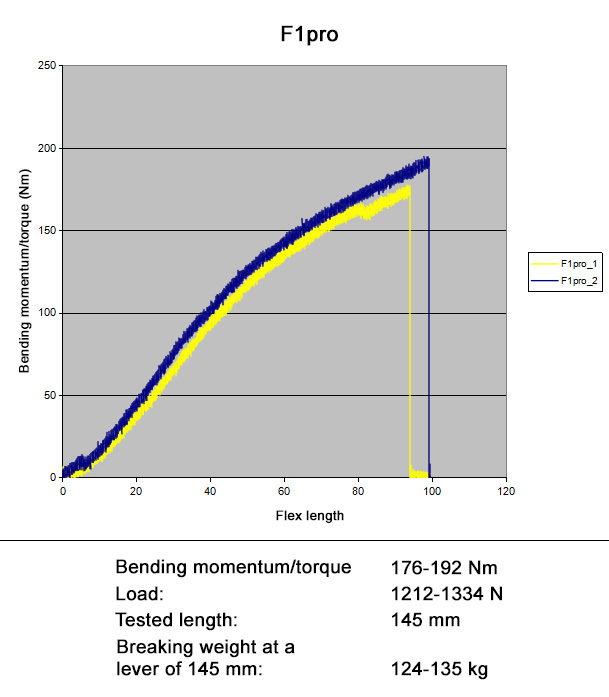 A tensile machine of the Dartec brand has been used for the experiment, capable of producing forces at ±250 kN. To this machine was applied a knife-holder and a wire to apply force upon the handle of the knife. To secure the locations of the wire on the knife handle, a screw brace was applied to the handle, so that the wire came between the jaws of the brace and could run freely in all directions except along the knife handle. In this way, any uneven loads were compensated for in directions other than vertical. The abutments on the knife-holder were so formed as to compensate for knife blades of different thickness and in order to give a well-defined breaking point independent of the bending of the knife blade. Testing was carried out under controlled conditions with a constant pull speed of 1mm/sec., which gave a varying force. The testing was carried out at a constant temperature of 20°C (68°F). The length of the tested knives varied a good deal, and therefore it was decided to set the breaking point at 30 % along the blade reckoned from the tip, at the point where the blade reaches its full thickness and width. 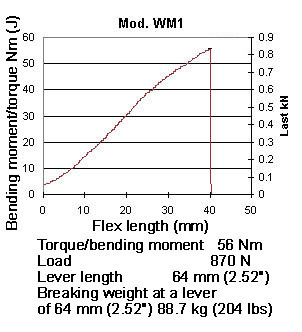 A basic load of 100N was applied to the knives, except for knife WM1, which was subjected to a load of 50N, owing to its small size. 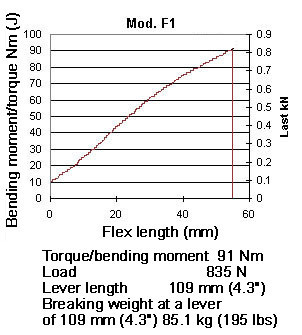 The result are presented in a diagram with the shift in the X-axis and the load and bending moment in the Y-axis for each knife. The bending moment was calculated by multiplying the load (kN) by the distance (m) between the contact points of the wire against the knife handle and the breaking point in the abutment. For comparison, the break load has been transposed from Newton force to the corresponding weight in kg. Number of kilos = Number of N/9.81. 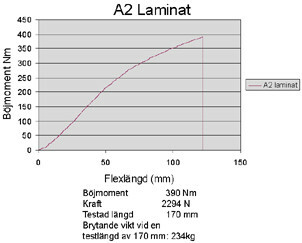 The following graphs show the result for the Fallkniven models A1,A2 Lam, F1, F1 Lam, S1 and WM1. Further below you will also find the test results for the F1pro, S1pro and A1pro. 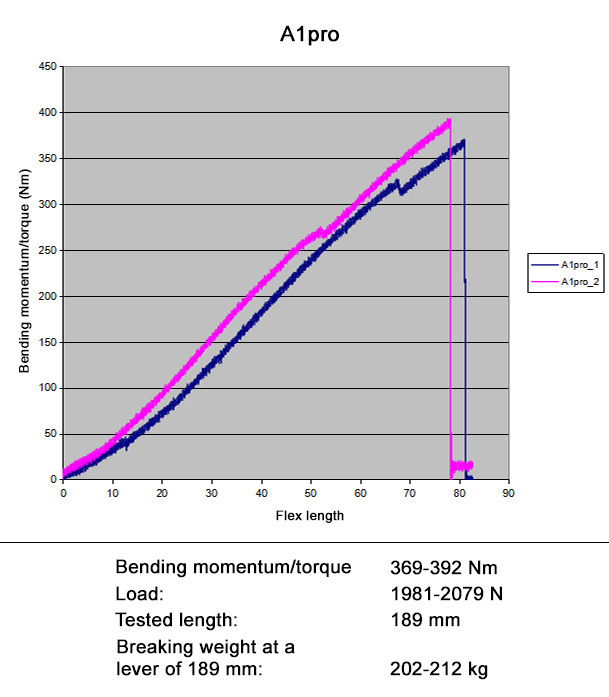 The following graphs show the result of break tests for the F1pro, S1pro and A1pro.